101 Ways to Improve Child Behavior | Thomas Armstrong, Ph.D. 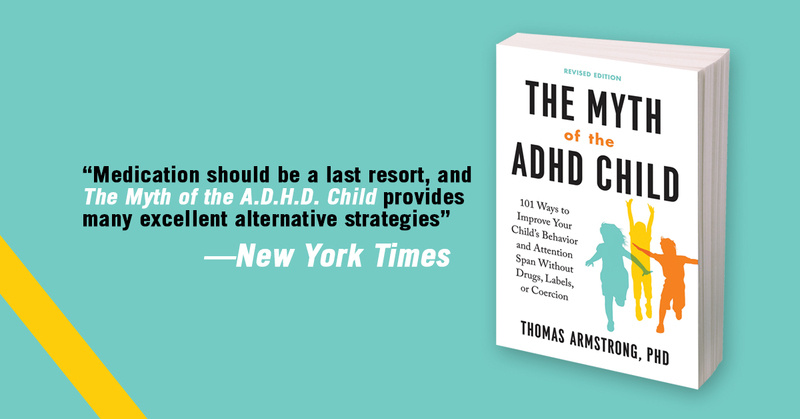 The following strategies are described in my new book: The Myth of the ADHD Child: 101 Ways to Improve Your Child’s Behavior and Attention Span without Drugs, Labels, or Coercion (Tarcher/Perigee). For details on each of these strategies (plus resources for further help) get my book The Myth of the ADHD Child: 101 Ways to Improve Your Child’s Behavior and Attention Span without Drugs, Labels, or Coercion. Follow me on Twitter: @Dr_Armstrong. Visit my website: www.institute4learning.com.